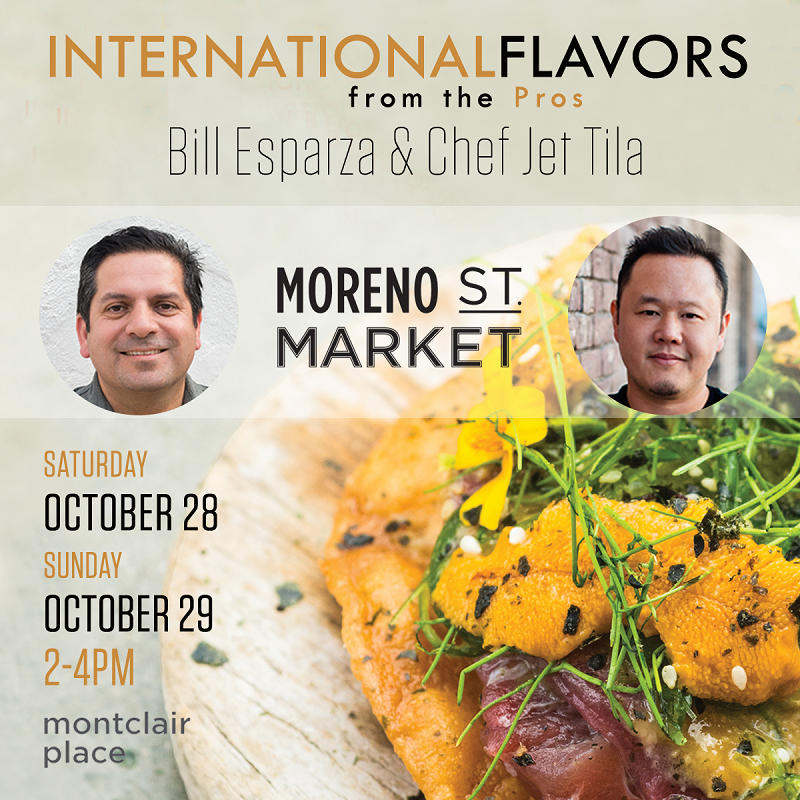 The pair will be making an appearance at Montclair Place’s Moreno Street Market food hall between 2 and 4 p.m. Saturday and Sunday (October 28 and 29). On Saturday, Esparza will discuss his recently-released book, “L.A. Mexicano,” and will share his tips on where to find the best Mexican cuisine. Food samples from Oli’s Tacos, recent winners of the mall’s “Search for the Next Great Pop-up” competition, will be available. Food samples from Noodle World Jr. will be available. Both books are available at the Montclair Place Barnes & Noble, and they will also be available at a Barnes & Noble booth set up in the Moreno Street Place during the events. This entry was posted in Montclair by John Plessel. Bookmark the permalink.